I am so happy to share this interview with James R. Nowlin, who has survived more drama and trauma than most of us — AND — he has been inspired to live a life of purpose and passion. 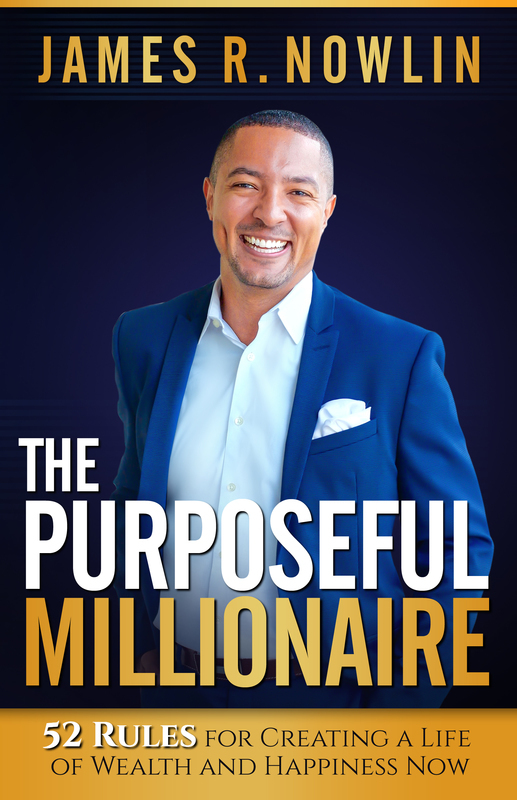 His first book, The Purposeful Millionaire, has just been released TODAY! I had the great privilege to interview James about his near-death experience after a crazy kayak accident in 2012 😳 and I was blown away by his honesty, his heart and his desire to inspire YOU + 1 Million people to build a life and business with purpose. I was struck by how down to earth James is and how connected he is to his spiritual core, WHILE still being a bold businessman. It is sooooo heart-warming because I believe that even though we are spirit-led, we are meant to THRIVE in all ways! And let’s face it being broke does NOT serve anybody! I believe that if you put his 52 Rules for Creating a Life of Wealth & Happiness you will feel more fulfilled. Aligning with the abundance that you are meant to enjoy is what this book is about. Whoo hoo! Now check your email to confirm your subscription.